Blood sugar control is the main goal in treating diabetes. Blood sugar fluctuates throughout the day, so the only way to achieve this goal is to monitor blood sugar consistently. Do I need to monitor my blood sugar? About 23% of individuals with diabetes don’t know they have it. History of gestational diabetes (diabetes during pregnancy) or delivering a baby over 9 lbs. If diabetes has been diagnosed, blood sugar monitoring is fundamental and a doctor will provide specific, individualized recommendations about how often and when to check blood sugars at home. In general, people taking certain oral medications or those managing diabetes with lifestyle modification may only need to check glucose levels three times per week (alternating time of day: before breakfast one day, before lunch another day, and before dinner another day) while those at higher risk of significant blood sugar fluctuations and those who do not recognize high or low blood sugar levels may require more frequent monitoring (4-5 times per day). Depending on risk factors including age, medication use, activity level, and dietary practices, targets may be further individualized. Always ask your provider for specific blood sugar goals based on your situation. There are a wide variety of portable glucose monitors available, most of which can be purchased over the counter. Models vary in characteristics, such as the amount of blood needed for a sample, wait time for results, size of the meter, amount of storage/memory, ability to communicate with an insulin pump, and cost. Additional features may include being able to label values as pre or post meals and exercise, meters with speak-aloud audio, and large font and screen sizes. Check with your insurance company to determine coverage provided for different meters and supplies. Consider asking your physician’s office if they have demonstration equipment available so you can see, touch, and try different options before making a decision. Finding the right meter is important in ensuring consistency in self-monitoring. Lancets: A blood lancet, or just lancet for short, is a small device used to make a small cut in the skin in order to collect blood for various reasons. Lancets become dull even after the first “stick”, and bacteria from a finger is transferred to the lancet tip with each use. Change the lancet with every finger stick to decrease risk for infection and pain. Strips: Your doctor will write a prescription for test strips indicating how often to check your blood sugar. Insert a fresh strip for every reading and ensure that the blood sample is large enough to avoid error messages that may appear if the sample is too small or if it is applied too soon. An error message indicates that you need to start over using a new strip. Alcohol swabs: Washing your hands is best-practice prior to a glucose check, but alcohol swabs may be used to remove residue that might be on the fingers. Let the finger dry before testing since alcohol can alter blood sugar readings. Once your doctor has explained how often and what time of day to monitor blood sugar and you know how to use your meter, what happens with the information? Medical professionals use “patterns” to make changes to treatment regimens. A pattern happens when glucose values are the same/similar or are changing at a similar rate/pace at the same time every day. Once a pattern is seen for at least 3 days in a row, a medical team can use this information to adjust medications and/or discuss lifestyle modifications that may help bring the blood sugar within the recommended range. Adjustments can be made for both high and low blood sugars as well as for glucose trends (blood sugars increasing and/or decreasing). Logging glucose values is the best way to visualize patterns and trends in your blood sugar. Some individuals keep handwritten logs on a printable log or in a logbook while others use computer downloads straight from a meter or insulin pump. There are also many handy apps that can help you monitor and keep track of your blood sugar levels with your smartphone. Keeping a log of blood sugar values is important; but, possibly more important is logging what was eaten, how much medication was taken and at what time, physical activity, and emotions/stresses that might affect blood sugar. This allows for the personalization of treatment plans based on an individual’s usual routine and on how specific situations alter his/her blood sugar readings. “Monitoring” is more than just testing blood sugar levels. “Monitoring” is more than just testing blood sugar levels. 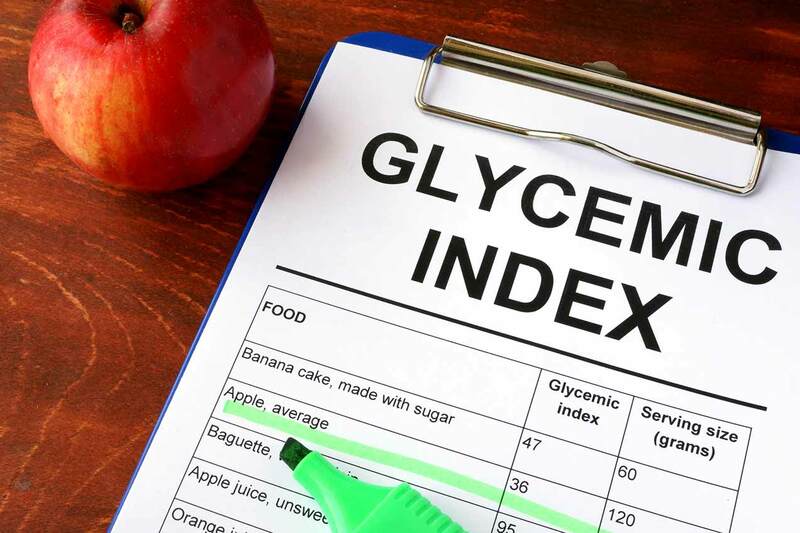 There are several factors that can alter glucose levels, so tracking as much information as possible provides better information about what modifications in the treatment plan might give the most desired results. For example, monitoring blood sugar along with a food log including the type and amount of food consumed at various times allows a Registered Dietitian to provide Medical Nutrition Therapy based on individual glucose responses to food. The more you and your medical team know, the more control you have over your health. Monitoring blood sugar values gives information about distinct moments. This is important information when adjusting treatment (medication, food, activity) plans, but it doesn’t explain how blood sugar fluctuates over time. Since blood sugars are constantly in flux, it’s helpful to monitor long-term values to see how treatment has changed outcomes over time. Hemoglobin A1c is a lab test that measures average blood sugar over a 3-4 month period. Hemoglobin A1c is a lab test that measures average blood sugar over a 3-4 month period. Simply stated, A1c shows the percentage of red blood cells that are attached to sugar molecules. Since red blood cells are regenerated every 3-4 months, the percentage of new cells that are attached to sugar tells us how the average blood sugar has changed over those months. Once a red blood cell is attached to a sugar molecule, it stays that way until the cell dies and is replaced by new cells; so, if the A1c is retested too soon, the lab may not change even if significant changes had been made to the treatment plan. Once diagnosed with diabetes, a person will always carry the diagnosis; however, this does not mean this person cannot manage blood sugar to achieve an A1c within the “normal” range. The general goal for A1c in individuals with diabetes is less than 7%, but recommendations may be liberalized or tightened depending on various factors. Always ask your physician about your personal A1c goal to ensure that you are limiting risks of complications of diabetes while also limiting the risk of severe low blood sugar episodes. See an ophthalmologist (not an optometrist) annually for dilation and monitoring of changes to the eyes over time. Nerve damage can make it difficult to sense pain, especially in areas of the body that are not easily visible (toes, feet). If a sore or wounds is left unaddressed, it can cause systemic infections and possible amputation. Contact your medical professional if you notice a wound that is not healing properly. Check your feet daily for sores/wounds. Take shoes and socks off at every medical appointment to remind yourself and the medical team to examine your feet. It is difficult (if not impossible) to “feel” the complications of diabetes until something often life-altering (heart attack, stroke, chronic kidney disease, etc.) happens; and, unfortunately, once any of these complications appear, it is not always possible to reverse the damage that has been done. This is why it’s important to not only monitor daily blood sugar values but also monitor your overall health and keep an eye on the organ systems that are most commonly affected by high blood sugar. Self-monitoring glucose levels gives data that may trigger instant responses. While fluctuations in blood sugar are expected, severe high and low blood sugar levels indicate the need for action/adjustment. For hypoglycemia, defined as a blood sugar less than 70 mg/dl, treat with 15 g of a fast-acting (juice, regular soda, hard candy, glucose gel or tabs, etc) carbohydrate. Then, wait 15 minutes and test again. If the value has not increased at least 20 points or if the value is still less than 70 mg/dl, repeat the steps again until the reading is above 70 mg/dl. Blood sugar responses are not as “black and white” for elevated blood sugar. If using a sliding scale or bolus doses of insulin, the doctor provides a “correction factor” to bring the blood sugar down to a specified target range. For those not using insulin, high blood sugar may indicate increased stress, excess carbohydrate intake, possible missed or incorrect dose of diabetes medication(s), or illness. Try to look back at your log to brainstorm what might have caused this high blood sugar and consider problem-solving a plan to prevent it from happening in the future. In extreme cases of high blood sugar for individuals with Type I Diabetes, testing for ketones in the urine may be necessary. Do not hesitate to contact your doctor if you are worried about high blood sugar episodes or if you are having a hard time bringing your blood sugar down. A diagnosis of diabetes can be daunting and overwhelming; but, with careful monitoring and close contact with a medical team, blood sugar control is possible. Self-monitoring of glucose values allows individuals and medical professionals to diagnose problems based on trends and patterns, brainstorm solutions, implement agreed-upon solutions, and track outcomes to assess whether additional adjustments need to be made. The more information you know about your body, the more control you have over your personal health. Set small, SMART goals to encourage gradual steps toward bigger goals. I will eat 2 pieces of fruit 5 out of 7 days this week. I will walk in place during commercials while watching the news every day this week. I will check my blood sugar as soon as I wake up on Monday, Wednesday, and Friday. I will keep a food log 3 out of 7 days next week. When it comes to monitoring diabetes, the more information you have, the easier it is to brainstorm suggestions for change, and the more control you have over your long-term health. Keep track of what you are engaging in and how the changes and actions affect your blood sugar. When it comes to monitoring diabetes, the more information you have, the easier it is to brainstorm suggestions for change, and the more control you have over your long-term health. Always talk to your doctor about how often you should be monitoring your glucose levels, what your target range is, and what to do if your blood sugar deviates from your desired range. Be your own advocate by keeping a log of any information you find important when it comes to management of your blood sugar.